This moisturizing beard oil contains 25% argan oil. It's ideal to give your beard extra shine! This moisturizing beard oil contains 25% argan oil. It's ideal to give your beard extra shine! Can also be used instead of a shaving cream. NOTE: Not intended for use with a badger hair shaving brush. 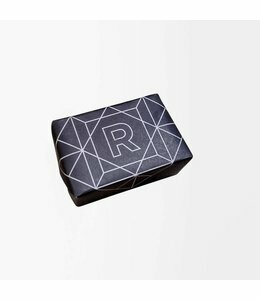 A unique fragrance specifically developed for Rituels: bergamot, bitter orange, cypress and patchouli. 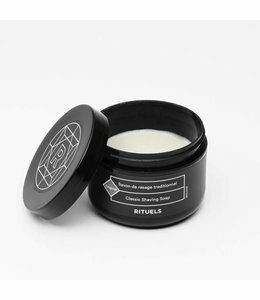 It features a masculine, yet refined scent: a unique blend of travel souvenirs from the Orient, citrus trees, a walk in a spruce forest of conifers, and incense. Argan, ricin and sunflower oil, and essential oils (bergamot, bitter orange, cypress and patchouli). 100% natural. 100% vegan. 30 ml (1 oz.) plastic bottle with dispenser. Opaque plastic protects your oil from UV rays. 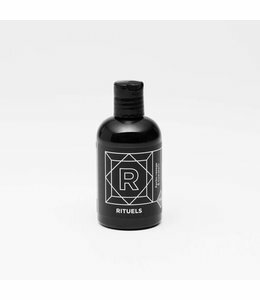 Designed and manufactured in Eastman, Québec exclusively for Rituels by Savonnerie des Diligences. Great smell. Like the price. Been getting great compliments from the ladies when I get a kiss - "what cologne are you wearing?" but I don't wear cologne so I know it's this.